Puzzles | More Crunchy Beach Mama! Are you ready to turn the clocks forward an hour for Daylight Savings on March 10? Sometimes it’s not so easy with the little ones. Here are some tips from Certified Sleep Experts from Sleepy Planet, Jennifer Waldburger and Jill Spivack, and your friends, the PAJANIMALS, from The Jim Henson Company and Sprout, the 24 hour children’s preschool channel. The Night Before – On Saturday March 9th, turn clocks AHEAD 1 hour before going to bed! If your child normally sleeps till 6:30 AM, the next morning he/she might be sleepy until 7:30 AM. The entire schedule – naps and bedtime – will then shift one hour later. If you’re happy about this change, great! Just protect your child’s room from too much light in the early morning, and use white noise so they won’t wake with the birds. Set your alarm for 6:30 AM (according to the new clock) and wake your child at this time. To them, it will feel like 5:30 AM and yes, they may be cranky and tired, but their body will soon get used to the new schedule. Put your child down at the normal nap time (if they are still napping) according to the new clock and resume a normal schedule from there. Don’t allow a nap longer than usual. On Sunday night, put your child down at their usual bedtime according to the new time. An all-new Pajanimals Daylight Savings-themed activity page. Make your own dream catcher. There is also the fun Pajanimals video “How Do I know If It’s Morning Time” available on YouTube. Tune-in to Sprout between March 18 – April 14 for their “Spring is Sprouting” event, and catch some of your favorite Pajanimals’ episodes, including Apollo’s Special Day, Puppy Love, Share Day, The Cow’s Meow and Team Fort! 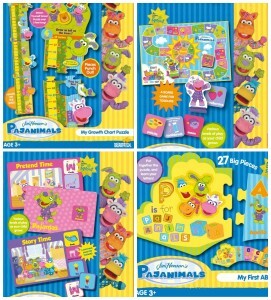 Pajanimals also airs every Saturday morning on NBC Kids! The new DVD Pajanimals Playdate, is now available at retailers across the U.S. and on Amazon. The Pajanimals App, an interactive adaptation of the episode “Light in the Sky,” lets children join in the fun with their favorite characters. 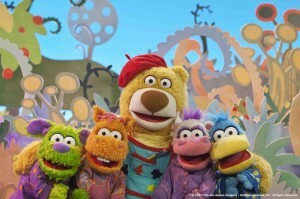 Filled with engaging activities that play off of the theme of the episode, as well as charming music and animation, the fully 3D app extends the reach of the TV series onto iPhone, iPad and iPod touch. it will be a surprise which one you get! This giveaway will end on March 21, 2012 at midnight EST. Winners will be drawn via rafflecopter. Once a winner is drawn I will contact them and they will have 48 hours to reply before I draw a new winner. Giveaway is open to anyone in the US and you must be 18 years of age or older. Giveaway not affiliated with Facebook & I release them of liability. Winner will be posted in the rafflecopter widget.